Synopsis, Our Opinion: A nice California Pinot Noir. 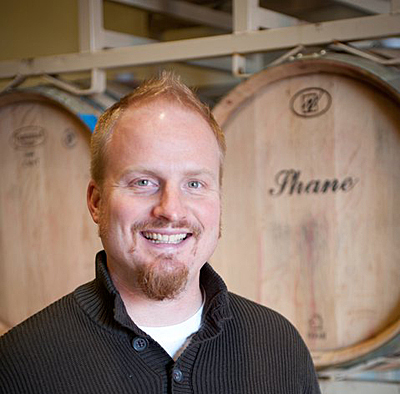 Producer/Winery: Shane Finley; Shane Wines; Healdsburg, california. Purchased From: Bistro B; Kernersville, North Carolina. 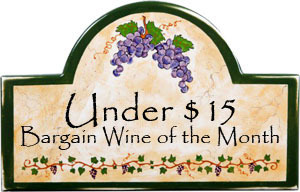 Paired With: Grilled salmon with orange/curry sauce, baked potato and peas. Opened 45-minutes before drinking. Clear, dark ruby color with the same color rim. Slightly musty ripe cherry and leather aromas with occasional hints of cinnamon. SPICY, bold, solid medium body and a smooth 400-grit texture. Strong licorice, sweet cherry, raspberry and tart cranberry flavors. Abundant lively acidity, off dry at best, soft almost non-existent tannins and a VERY enticing bitter and peppery finish. 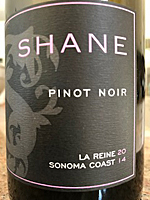 Not your ordinary Pinot Noir with the dense color and flavors; but quite good with the salmon and orange sauce. It was a nice California Pinot Noir. 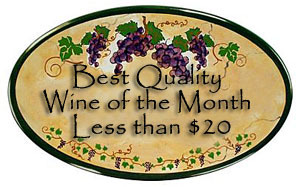 Comments: Learn more about Shane Finley and his wines.